2019 will see the launch of the highly-anticipated ITIL® 4. This new version of ITIL retains all the best bits of V3, but with more emphasis on collaborative working, along with a holistic end-to-end view of product and service delivery. The ITIL V3 qualification will continue to be available until AXELOS advise that the transition period will cease. Therefore we would encourage you to transition to the new scheme as soon as possible. Once the V3 qualification is phased out, the Practitioner level certification will no longer exist. The ITIL Intermediate Qualification in Continual Service Improvement Certificate is a free-standing qualification, but is also part of the ITIL Intermediate Lifecycle stream, and one of the modules that leads to the ITIL Expert in IT Service Management Certificate. This course will provide a better understanding of continual service improvement by explaining ITIL principles and terminology, outlining the steps needed to improve IT service management quality, and increasing the knowledge of concepts, processes and functions. The course also helps students increase their understanding of business issues governing the ITIL Lifecycle, and provides the opportunity to sit the ITIL Lifecycle examination in Continual Service Improvement. 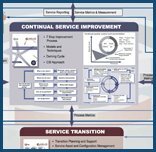 Individuals who require an in-depth understanding of the ITIL Continual service Improvement stage of the ITIL Service Lifecycle, and how it may be implemented to enhance the quality of IT service provision within an organisation. IT professionals working within, or about to enter a continual service improvement environment and requiring an understanding of the concepts, processes, functions and activities involved. Registered Office: ILX Group Pty Ltd, 730 Springvale Rd, Mulgrave, VIC 3170, Australia. Company No. 73141075336. Part of Progility Limited.